Oily hair both looks and feels bad. Unfortunately, it isn’t very easy to predict and prevent your hair from getting greasy. But thankfully, there are hair care products out there that could help you. One of those products is the oily hair shampoo, and that’s what we will be talking about today. If you happen to be looking for the best shampoo for oily hair, then you are in the right place! First of all, we are going to examine why hair gets oily and how you could get rid of it. But most importantly, we are going to review 9 great shampoos for oily hair, one of which may even be the right choice for you! Normally, everybody’s scalp produces oil. In fact, oil is a necessary compound to keep our skin and hair healthy. The oil – sebum, a natural lubricant produced in the sebaceous glands – waterproofs the skin and hair and also protects them from drying. Sometimes, that oil production may get excessive, causing the hair and skin to look and feel greasy. It is quite difficult to pinpoint the exact cause of the excessive oil production. Only a medical professional would be able to give you a precise answer. However, if you aren’t in the mood or the condition to go to a doctor yet, then let us introduce you to a number of factors that could contribute to hair oil. Fine hair usually looks greasier. Fine hair has less surface area, meaning that there could be more oil produced than necessary. Even if you have thick hair, you aren’t quite safe. If you have lots of hair, it means that you also have lots of those sebaceous glands. You guessed it, the oil production will also be increased, which could lead to greasiness. Straight hair also may tend to be greasy: that’s because there are no curls or waves to contain the sebum near the roots. On the other hand, curly hair hinders the movement of the oil along the hair shaft, resulting in oily skin and roots but dry ends. Hormone level fluctuations may also cause oily hair. Sudden hormone changes triggered by stress, pregnancy, puberty, medications, etc. could promote excess oil production. Some hair conditions like psoriasis and seborrheic dermatitis both have been associated with excess oil production. Besides greasiness, those conditions are also accompanied by dandruff or dry skin. If you have relatives who have greasy hair, the chances are that the excessive sebum production will be an issue for you as well. Playing with your hair may cause greasiness in two ways. Firstly, you may be transferring the oil secreted by your hands onto your hair. Besides, you may be redistributing the oil from your scalp along the length of your hair. In fact, excessive brushing may have the same effect as playing with hair since it also redistributes the sebum. Excessive use of any hair product could also cause greasiness. If you use too much product, it may build up on your scalp and hamper the functioning of the sebaceous glands. Alcohol-based products could be even worse: combined with the sebum, they could weigh the hair down and make it look oily. If you use the wrong products like moisturizing shampoos or deep conditioners on normal or already oily hair, you could make your hair oilier than necessary. Excess heat applied to the hair via blow dryers, curling wands, or straightening irons may dry out the hair. This would trigger an increased activity of the sebaceous glands, leading to oily hair. Know how overly frequent shampooing may make your hair look greasy? This may sound counterintuitive, but you are not doing a great good to your hair by shampooing it every day. Frequent use of the shampoo may strip the oil away from the hair, forcing the glands to produce more sebum to compensate for it. Hot water stimulates the production of sebum, so make sure to use lukewarm water to make sure that it doesn’t happen. In general, any kind of a shampoo will remove sebum from the hair. Imagine you are cleaning your dirty dishes: if you use only water, grease won’t come off of it. If you add a little soap, you will get rid of the grease. It’s basically the same with hair: you get rid of oil every time you shampoo your hair. As a general rule, you should use shampoos with a translucent appearance. Creamy shampoos could promote the excess sebum production. Since sebaceous glands work especially hard at night, you should also shampoo your hair early in the day. Regular shampoo doesn’t always work though. Fortunately, there is a wide range of oil-removing shampoos out there that may help you with getting rid of the excess oil from your hair. If you are reading this material, then such a product is exactly what you are looking for! Needless to say, the very first advantage of an oily hair shampoo is that it helps with getting rid of the oily hair. That’s what they are designed for, after all. Using a shampoo for oily hair makes your hair look good and natural. Unsurprisingly, since greasy hair never looks good and doesn’t shine as well as you may want. And if you have got a shampoo with a nice fragrance, your hair will smell good too! Shampoos for oily hair certainly are beneficial, but they could cause problems as well. The very first thing that you may come across is excessive drying of your hair. This may happen if you use an oily hair shampoo more frequently than necessary. Neither greasiness nor dryness is good for your hair, so make sure you aren’t using too much shampoo for oily hair. Besides, the ingredients contained in the shampoo may trigger allergies. If you have any, make sure to carefully read the ingredient list of the shampoo before using it. Applying a shampoo for oily hair is generally done in the same way as with a regular shampoo, so there are no special “rites” that you would need to perform. Still, if you happen not to know how to apply it properly, you may not achieve any results. Dampen your hair with warm water. For short to medium hair, squeeze out about half-inch-wide dollop from the shampoo bottle. For long hair, adjust the shampoo amount accordingly. Also, don’t forget to see whether or not your shampoo has some specific rules in this regard. Foam up the shampoo with a small amount of water. Distribute the shampoo through the hair. Don’t scratch your scalp with your fingernails. Rinse your hair with cool water. This will stimulate blood circulation and make you feel exhilarated. To avoid hair damage, you also need to dry the hair properly. Instead of rubbing your towel into the head, press it onto your hair. It will thereby absorb water without damaging your hair. Carefully, without using any force, detangle your damp or still wet hair. If you follow these tips, you should see positive results fairly soon. As for shampooing frequency, it will depend on the shampoo, so make sure to consult the instructions on the bottle. Neutrogena shampoo is formulated to bring life back to flat hair. This shampoo is more of an all-purpose shampoo rather than a specific oily hair shampoo, so it could also be a good choice if you want to take general care of your hair. Aside from adding volume to the hair – which certainly is important – this shampoo also rinses the hair clean thanks to its rich lather. In the end, you could expect to achieve a healthy volume and shine after regular use of this shampoo and also reduced greasiness. Keep in mind that this shampoo is pretty pricey, so it won’t be a suitable choice for those on a budget. You could expect it to be the best clarifying shampoo though! 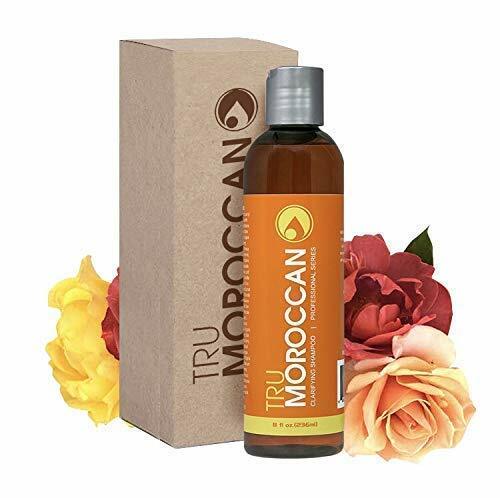 If you are looking for the best natural shampoo to treat your oily hair with, then Tru Moroccan might be the go-to. That’s because it contains natural oils and herbs to help you combat greasy hair, as well as itch and dandruff. This shampoo is also formulated to be safe for color-treated, weakened, or damaged hair. Both men and women could really benefit from this shampoo. Tru Morrocan shampoo has a fresh citrus fragrance. While this fragrance certainly could make your hair feel fresher, not everyone will like it. 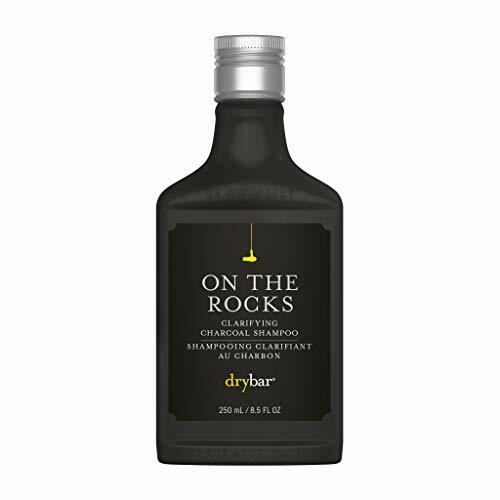 In case you have got an oily scalp and hair as a result of product buildup, Drybar On the Rocks clarifying shampoo may be the helper you need. This shampoo contains activated charcoal to remove hair product buildup and impurities from the hair without damaging or drying them. It also contains vegetable protein that reinforces chemically treated and damaged hair. However, because this shampoo contains protein, it should probably be used for treating mild grease: proteins could make excessively oily hair even oilier. Bumble and Bumble Sunday Shampoo is also a nice cleaning solution for oily hair. The manufacturer claims that this shampoo works well for infrequent hair washers and hair care product junkies by removing buildup and pollutants. However, bear in mind that this product isn’t suitable for color-treated hair! 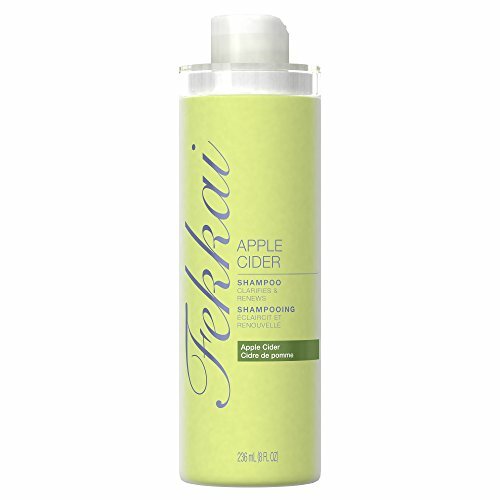 If you, by chance, wanted an apple cider-scented shampoo, then Fekkai shampoo could be the right pick for you. This silicone-free shampoo is formulated to clarify the hair and remove buildup from it. Needless to say, this shampoo also works for oily hair, as testified by its user reviews. But again, this shampoo wouldn’t be suitable for you if you have colored hair. Maple Holistics shampoo is a fairly remarkable one. Well, it comes with twice as much shampoo as most of the other shampoos reviewed. But that isn’t its biggest feat. This shampoo is formulated to both degrease the oily scalp and hair and also fight off dandruff by promoting healthy sebum levels. Besides, it is meant to minimize the pore size to reduce hair loss, shedding, and flakes. And lastly, this shampoo is appropriate for color-treated hair as well! 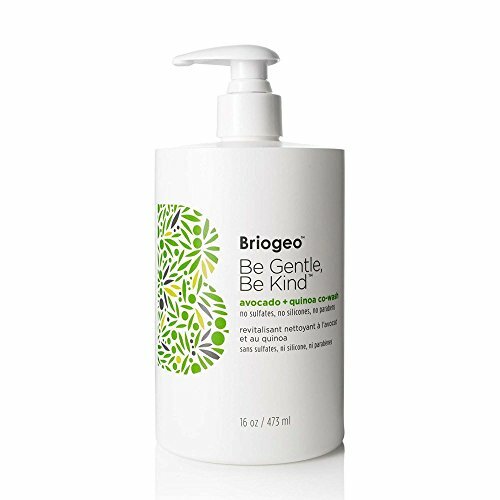 Briogeo Be Gentle, Be Kind Avocado 4-in-1 shampoo is also an interesting product. It is formulated to cleanse, condition, detangle, and nourish the hair, so you are pretty much getting a complex solution to deal with greasy hair. This shampoo is fortified with natural avocado oil to increase the hair’s manageability, quinoa extract to protect the hair, and bamboo extract to attach shine and elasticity to the hair. Besides, this shampoo doesn’t contain any artificial ingredients and can be used on color-treated hair. 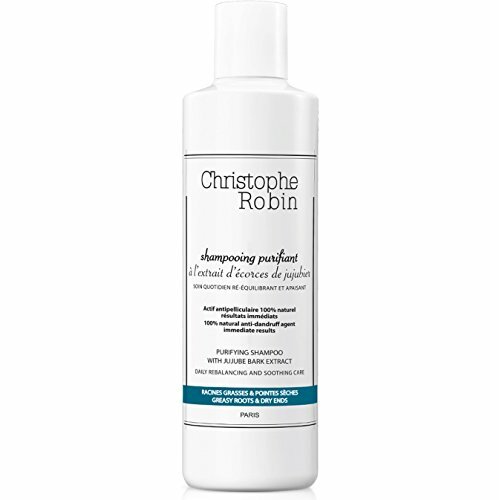 Christophe Robin purifying shampoo is another solution dedicated to oily hair. It is formulated to bring back life into dry hair ends and also regulate the excess of sebum near the greasy roots. In addition, this shampoo also eliminates dandruff, calms itchiness, and attaches lightness and shine to the hair. Since this shampoo appears not to be formulated to be used with color-treated hair, we consider it the best men’s shampoo on our list. Looking to protect your hair? Then have a look at Kiehl Color-Treated Hair Preserving Shampoo! This shampoo contains a fortifying blend of a UV-protective filter and Vitamin B3, B5, and B6. It is also infused with sunflower oils and apricot for great cleansing performance. Besides, this shampoo has been specifically formulated for color-treated hair, so it could be the ideal choice for you if your hair is colored. That’s it for the reviews of best shampoos for oily hair! Did you like any of the shampoos we examined? 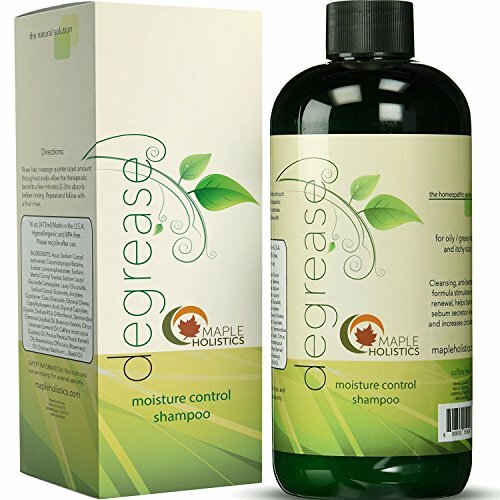 We sure picked a favorite, which is Maple Holistics Degrease Shampoo. We liked its versatility, as well as the amount of the product it delivers for the price. If you did find an appropriate shampoo too, then maybe you should go and get it!